Moussa Sissoko is a French professional footballer who plays for Tottenham Hotspur in the English Premier League and the French National Team. He was born on 16th August 1989 and hails from Le Blanc-Mesnil, Seine-Saint-Denis in France. He has Malian ancestry from his parents. Sissoko is a central midfielder and is mostly played in a box-to-box role but is also capable of playing a deeper role as a holding midfielder. He has been deployed in the right side of the midfield too a couple of times because of his agility. He is a right footed player who rarely uses his weaker foot. He is a well rounded midfielder with decent physical prowess. He is comparatively agile for his height and role and is capable of contributing in the team build-up and doing layoffs. However, his concentration is extremely lacking meaning he often makes wild and harsh tackles giving up fouls in important positions and missing clear cut chances in front of goal. He is also ridiculed for making far-fetched assessment of himself and then not putting up the required results. He was part of the France squad in the 2014 World Cup in Brazil and the 2016 EURO. He started in the final of 2016 EURO against Portugal. He had humble beginnings as his father was a construction worker, but his talent was noticed very early and he himself realised that playing football would help him achieve something big. He joined the youth academy of Esperance Aulnay as a six year old. He has a two year stint with Red Star 93 before returning to Esperance again. He signed with the U-14 team of Toulouse in 2003. He came up through the ranks of Toulouse, making his senior debut for the club in August 2007. A regular at the youth setup of the France national team, he represented the Les Blues in every level he was eligible for. He made his senior debut on 10th October 2009 in a World Cup qualification match against Faroe Islands. He came on in the 62nd minute as France won the match 5-0. With World Cup qualification in the bag, he made his full debut in the following match against Austria, playing the 90 minutes as France won 3-1. Sissoko had gained considerable fame after his time with Newcastle United and France national team, but he rose to the spotlight in the final six games of the 2015-16 season as he was handed the captain’s armband, and he led Newcastle to a six game unbeaten run against opponents like Liverpool and Manchester City including a 5-1 drubbing of Tottenham on the final day. This saw him move to Tottenham on transfer deadline day for 30 million pounds on a five-year deal. 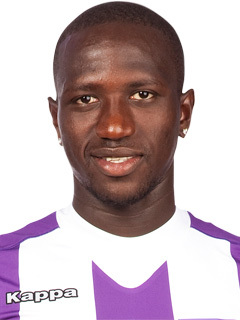 Sissoko has played senior club football for Toulouse, Newcastle United and Tottenham Hotspur.